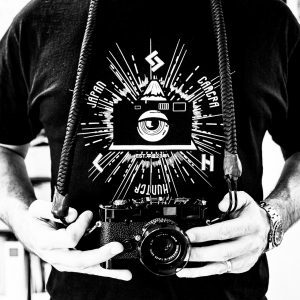 Joe Curzon was recently on the site with a bag that contained a camera that got a few peoples interest piqued. 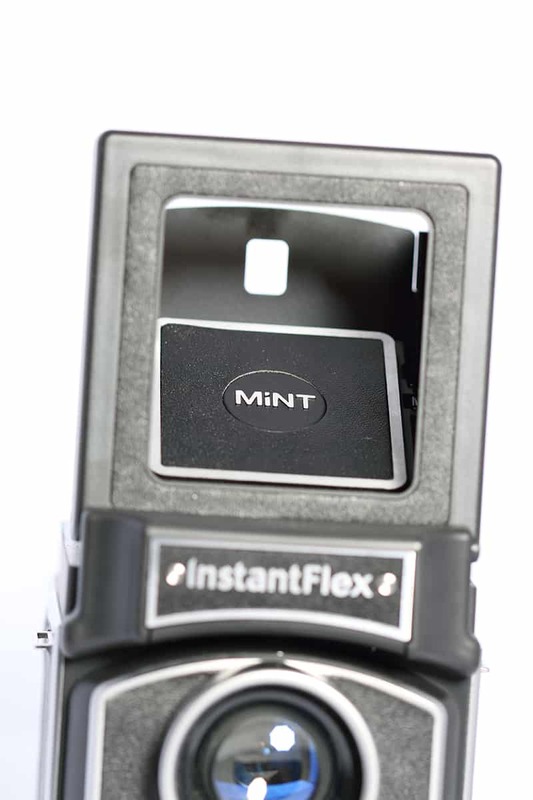 So Joe very kindly offered to put a little review together of the fascinating InstantFlex TL70. Film’s not dead, we know that. That’s why you’re reading Japan Camera Hunter. 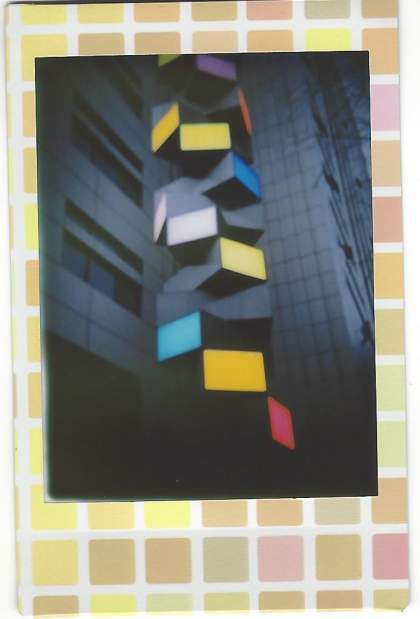 While most readers here are drawn to 35mm film or medium format I was drawn to Instant Film. I love the nostalgia of it. The look of surprise when you can give a physical photo to your subject. The stories of photos the way they were when we were young. The way people over a certain age shake it while it develops. I first got a Fuji Instax Neo Classic 90 camera. It’s mainly automatic and allows minor exposure adjustments. I longed for something a bit more manual. 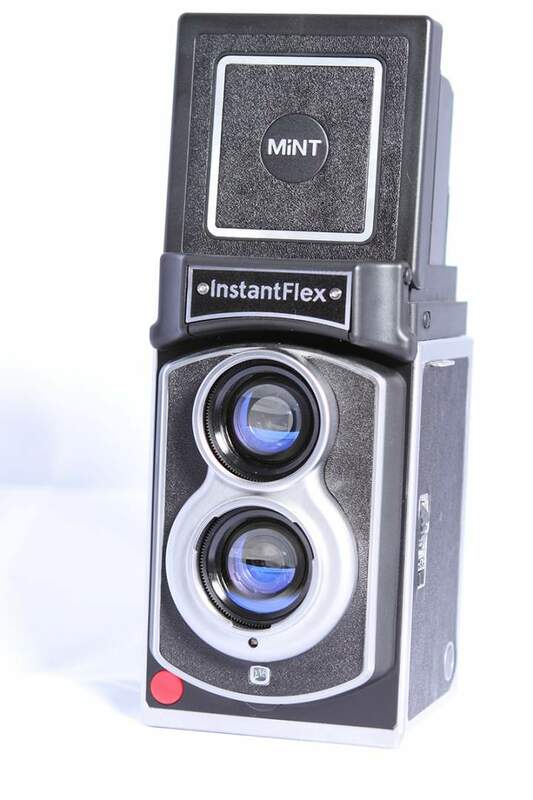 Then MiNT announced a new instant camera in March 2015, the InstantFlex TL70. 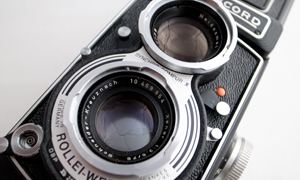 The camera is modern Twin Lens Reflex, with that retro look of older Rolleiflex. Hong Kong company MiNT themselves have a track record of restoring old Polaroid SX-70’s so I knew they were experts in instant film. 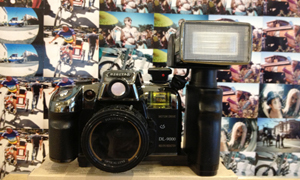 They’ve even created their own Polaroid compatible camera the SLR670. 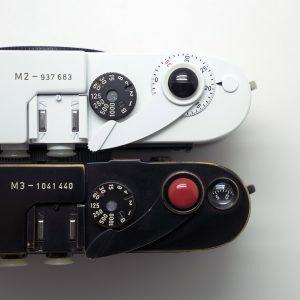 I pre-ordered the TL70 immediately, and waited for this retro hipster camera to arrive. They promised to ship the early bird pre-orders out in July 2015. My anticipation heightened through production delays until eventually my camera arrived in October 2015. 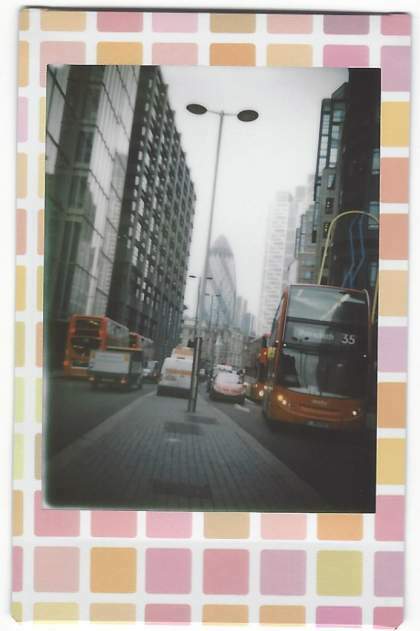 The camera itself takes the credit card sized Fuji Instax Mini film. It’s is widely available, either with a plain white boarder, or Deco Films which has a more colourful and novel border, such as coloured dots, squares, patterns, or even Disney characters. Fuji Instax Mini cartridges each have 10 shots in. The TL70 is smaller than a classic TLR (141mm x 102mm x 80.2mm), as it’s built around the Instax Film cartridge. To turn the camera on you flip open top down view finder. To turn it off, you close it. Simple! The lens on the camera is 61mm. 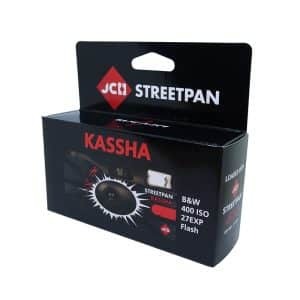 It has 3 elements and a 5 leaf shutter. It doesn’t really have threading for any lens filters, but I wouldn’t be surprised if MiNT release something in the future if the camera is popular enough. The camera is mainly plastic with some metal bits like the fold out view finder hood. It’s got a soft matt black finish to the body, with a chrome frame around the edges. You can set the aperture on the front, by turning a dial. It can be set to f 5.6, 8, 16 or 22, but nothing in-between these apertures. It also comes with a special “secret” bokeh mode, where the aperture blades form a star, there are hints from MiNT that other production runs might have different bokeh shapes. There are two exposure modes, Mode A – where the camera will automatically set the shutter speed to somewhere between 1/500 to 1 second depending on lighting conditions using the ambient light meter built into the camera or Mode B – where you press and hold the shutter button for as long as 10 seconds to keep the shutter open. You cannot manually set any certain shutter speed. All Fuji Instax Film is rated at ISO 800, so you can’t set the ISO. Looking down the view finder, it’s fairly bright outdoors at least in the dark grey weather that is London. I’ve heard a few people wish it was brighter, but it is usable; I don’t have any issues with it. The view finder also comes with a flip up magnifying glass if you want to get some more detail. There’s a plus shaped cross in the middle to help with framing. Alternatively, you can push out the top of the camera and use the square built into the viewer hood to hold it at eye level. On the left hand side you can set the focus from anywhere between 48cm to infinity. The focus wheel has markers for 48cm, 60cm, 80cm, 1.2 meters, 2 meters and infinity. Below the focus wheel is a switch to adjust the exposures, either EV+/-1 if the camera gets it wrong, or you’re aiming for something a bit darker or lighter. 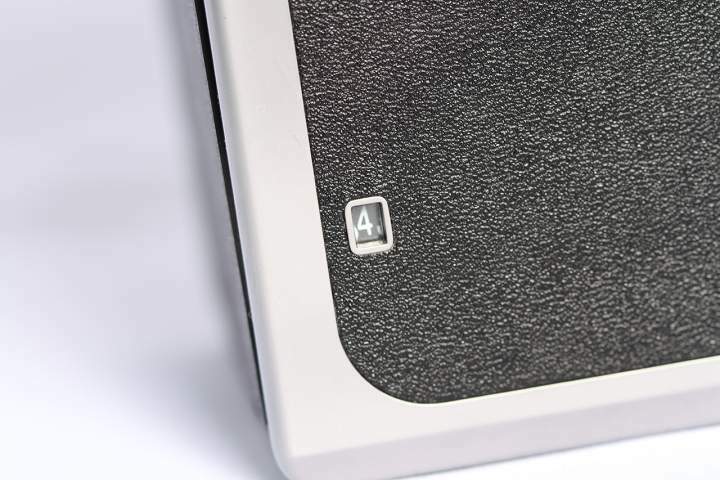 When you look down the viewfinder, if you half press the shutter button, a little green LED lights up to indicate a correct metering, or an orange LED will light up to indicate an incorrect metering. The camera will let you take a photo regardless of the metering; it assumes you know what you’re doing. On the right hand side of the camera, there’s a counter for how many shots you’ve got left. The back of the camera is the door for the film cartridge. 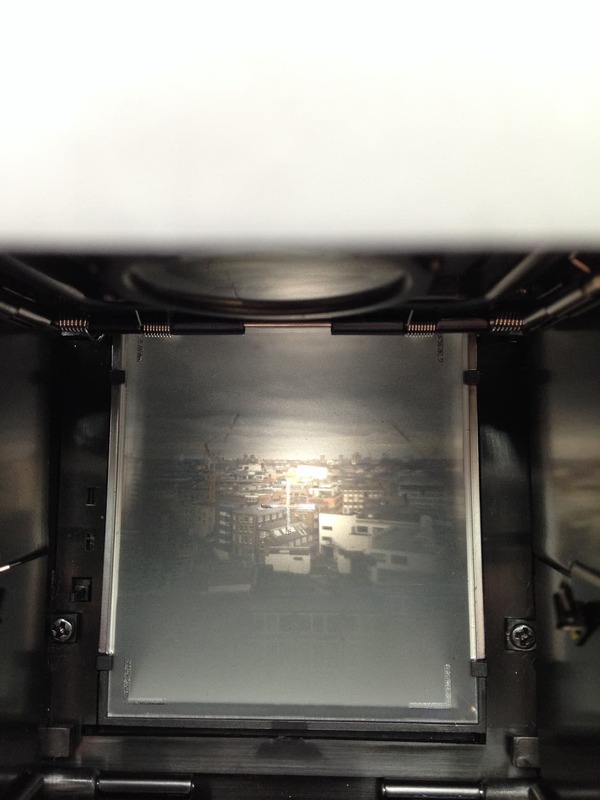 The film will appear from a slit at the top with the view finder. You have to manually eject each shot by pressing the eject button, this allows you to take multiple exposures on the same shot. The camera comes with a built in flash that pops out where the IntantFlex text is. The camera is powered by 3 AA batteries. So shouldn’t have any trouble sourcing those. It also has a conventional tripod mount on the bottom. Anyway enough of the technical, stuff, what’s the camera actually like to use? Looking down the view finder everything is mirrored, so if you’re used to a normal SLR it takes a moment to get used to. 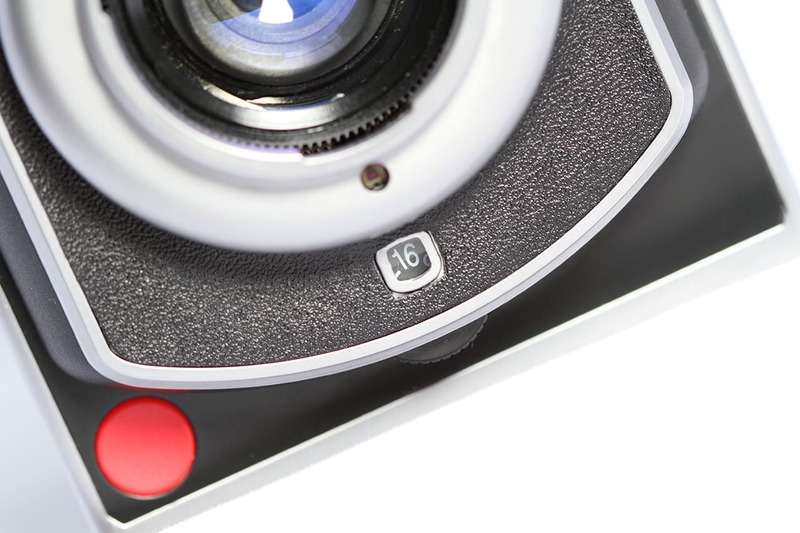 You can easily find the focus dial and adjust it while looking down the view finder. The focus adjusts on both lenses, so you get an idea of what’s going to in focus. MiNT claims you can use the camera for macro shots too. 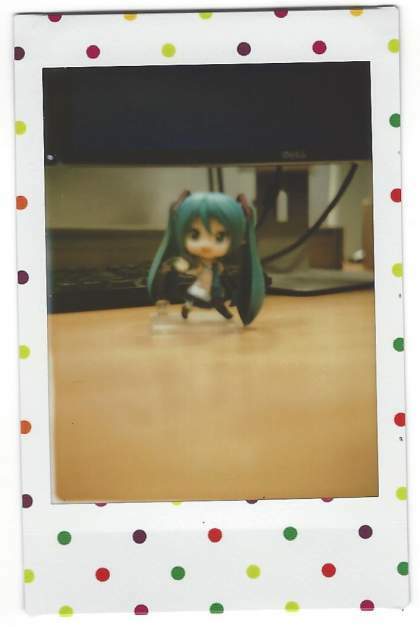 While the desk toy in this photo was in focus in the view finder, it’s out of focus in the actual photo. I’m willing to put this down to user error. I probably need my glasses prescription checked! The lenses themselves are glass and not plastic, they seem to have some coating on them that gets rid of the blue tungsten haze when shooting in office buildings. The dials are fully manual in the sense that you don’t need any power in the camera to set them, you can adjust the aperture and focus before flipping up the view finder. I found this easy to use while out and about on the streets. The exposure the camera suggested appeared to be accurate. In retrospective I would have probably changed the exposure to make it a bit darker. The greys of London all look a bit washed out in my shots, but again, that’s part of the fun of film photography, partly the effects, and partly the learning experience. “No, it’s new! It looks old, but it’s instant”. So I took two snaps, one for him and one for me. The lights changed green and he was on his way. It’s a real ice breaker of a camera. 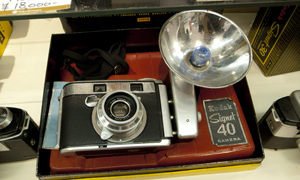 It’s unusual being a TLR camera and an instant camera. When I show it to people they want to have a look and a play. As I hand it to my friends to look at, I dread the moment they try to take the lens cap off. It has a leveller you twist to release the lens cap, but people tend to just tug at the lens cap. Instead of looking and trying to figure it out, they just pull on it harder still. I have to explain to people that they need to twist the lever anti-clockwise, then pull the cap off. Overall I’d say that build quality of the camera is good. Although it’s often categorised as a toy camera, it’s not cheap and plastically like some other toy cameras on the market. 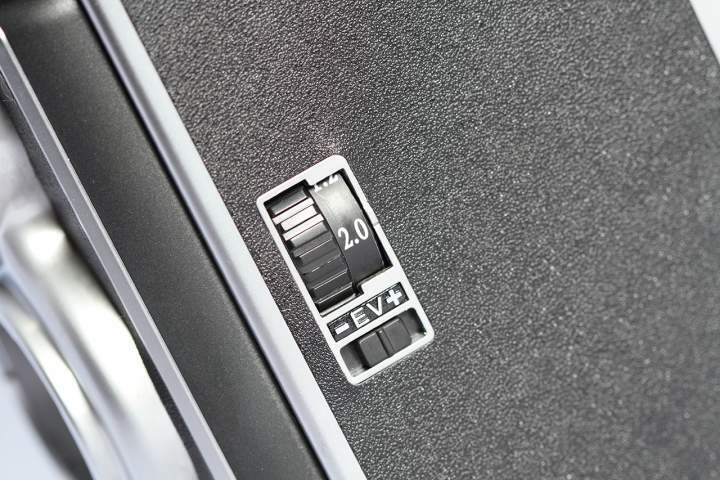 The buttons feel firm to press and the dials have a satisfying clunk to them. The parts are mainly good quality solid plastic, while the folding viewfinder hood is metal. The lens are glass. 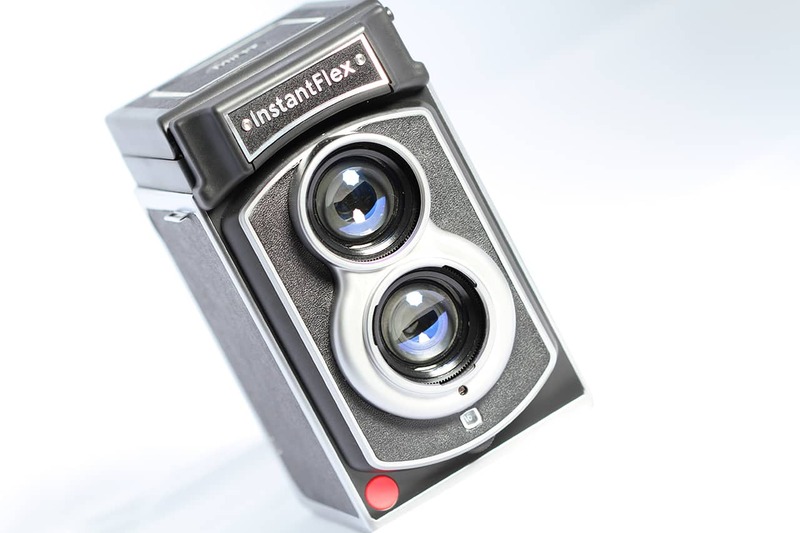 Currently you can get an InstantFlex TL70 for $350 (USD). Other MiNT Polaroid Cameras retail from $337 to $649, depending on the model and features. You can get one here https://mint-camera.com/tl70/ Be warned, music starts because of a video on the site, so turn those speakers down. Compared to my Fuji Neo Classic 90, the TL70 is bigger and more manual. You get more control and a bigger view finder. This does mean you’ll need more bag space for it! The 90, feels more electronic and automatic. You can get Fuji Instax Mini camera from $60 to $135 depending on the model. This makes the TL70 significantly more expensive than other Instax Mini Cameras, however you’re paying for something more quirky that has a lower production run. Plus it’s got a red dot on the front and we all like cameras with red dots on the front right? Getting one may have been GAS, but I have no regrets, and I see myself keeping this camera for a long time. If you want something manual and instant I’d recommend you give this camera a try too. Thanks for the review, Joe. I had a go on one the the test cameras, a great deal of fun, despite the price tag. I’ve got one of these, all the way over in the southeastern USA. Good fun indeed. 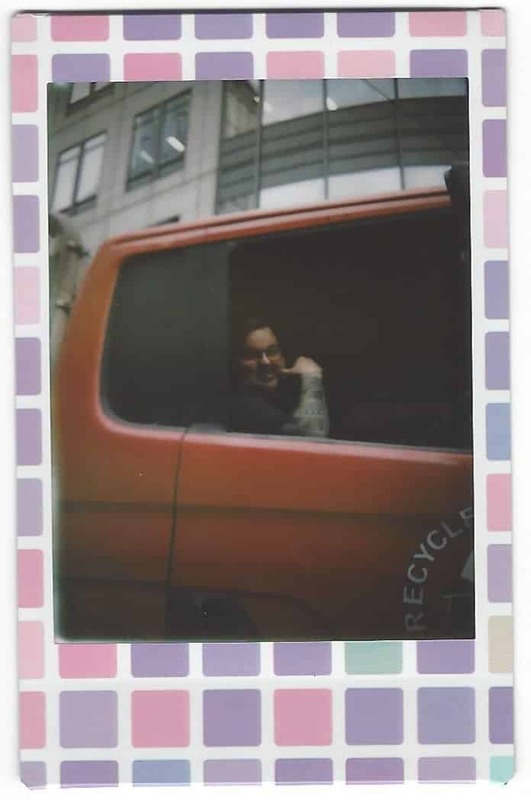 It even turned a large-format tintype-shooting colleague momentarily into an Instax squee girl: “it’s so cuuuuute.” When handing this camera to friends around a pub, I’ve learned to forewarn them that the red button is the shutter and please be careful. Initially I had people frequently bump into it and waste frames (or, hope to salvage them into “art” by double-exposing them). I too pre-ordered the TLR70 and eagerly awaited it’s arrival at my door. I hoped for a competitive option to Fuji’s Instax cameras, but with manual controls and improved image quality. Unfortunately, I found it to be an overpriced toy-quality camera, with sharp edges, and relatively flimsy construction. The deal breaker , however, was inferior image quality (soft focus and muted color) compared to my wife’s Fuji Neo Classic 90 Instax camera. I shot a few frames, and passed it off to my son for his amusement. The TLR70 is not as well built as my Polaroid SX-70, and is far surpassed in image quality by my Polaroid 110A, converted to use Polaroid/Fuji pack film. 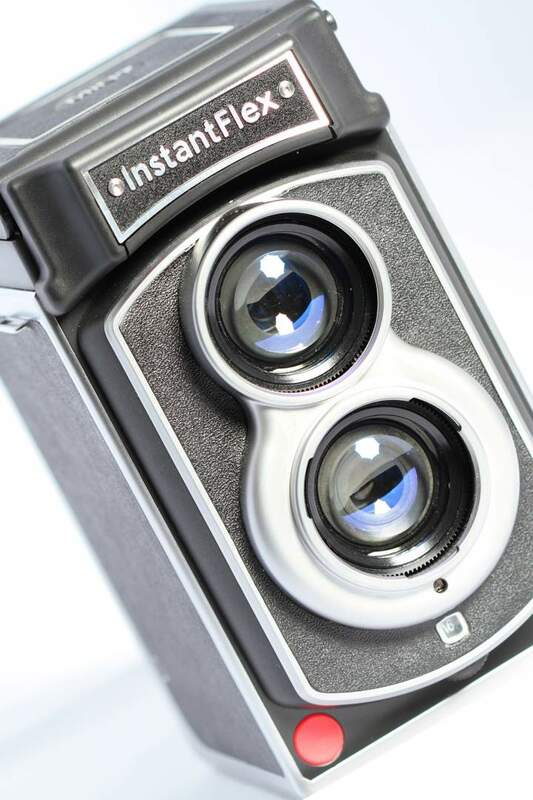 I think the main differentiator between these cameras, image quality wise, is the relative quality of the lens used – the original roll-film Polaroids had superior lenses to the later consumer-oriented models and new Instax cameras. What we need is for Fuji to develop an Instax camera with a better lens. I just got one after seeing Joe’s bag with one in it. I’d been wanting an instant camera for a while, and this one offered more control than a fuji camera, and it makes a great conversation starter. I mainly bought it for that reason as i plan to use it as a conversation tool to photograph strangers and strike up conversations. And it certainly does that. 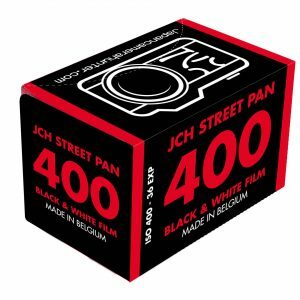 Look, its no polaroid sx-70 – but the instax film is much much cheaper. 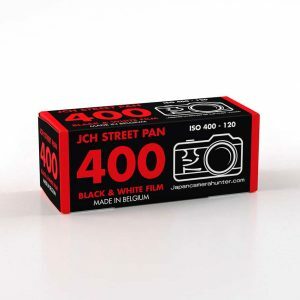 As i plan to give away many of the images i take, the cheaper film is a big plus. I think the cheaper (and Ive heard) easier to use instax film is a big plus. I think the lens quality is ok, but it seems to be very dependent on subject matter and lighting. It is very easy to vingette, and perhaps it is soft – but perhaps that is the charm.